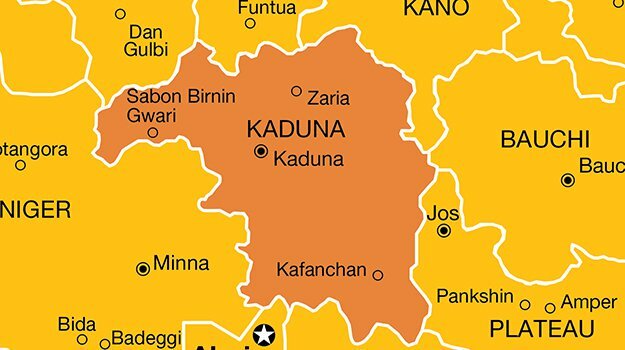 Six people have been reportedly killed by unknown gunmen while eight others sustained gunshot injuries at Sabon Sara, near Kidandan village in Giwa Local Government Area of Kaduna State. Investigation by the News Agency of Nigeria (NAN) revealed that the hoodlums attacked the village at about 1:30 a.m. of Saturday morning in an attempt to kidnap one Alhaji Nasidi, a large scale farmer in the area. An eye witness, who pleaded for anonymity, said the gunmen who stormed the village in large numbers were unable to kidnap the farmer instead, they whisked away his wife. The source added that the villagers mobilised themselves and chased the gunmen and eventually retrieved the woman from captivity. “In an attempt to rescue the woman, the bandits opened fire on us killing six persons while eight other people among us escaped with gunshot wounds. “The deceased have been buried according to Islamic rites in the presence of Giwa Local Govt Chairman, Engr. Abubakar Shehu Lawal Giwa and the Council Secretary, Alhaji Usman Ismail. “While the eight injured persons were rushed to Kauran Wali Clinic in Zaria for medical attention,” the source said. When NAN checked the Kauran Wali Clinic located on Gaskiya Junction, some of the victims were on drip, however, it seemed that the necessary urgent medical attention was not actually given to their case. One of the victims was discharged on the grounds that his multiple injuries needed to be taken care of in a traditional manner. NAN got some names of the deceased to include; Ibrahim Bakanike, Lawal S/pawa, Lawal Belo, Tukur Bilyaminu Kafinta and Ummaru Abdullahi Mai Rake while one Fatima Ahmad died as a result of high blood pressure. Those with gunshot injuries are; Malam Abdullahi Umar, Aminu Ya’u, Rabilu Isa, Salisu Usman, Sabi’u Ya’u, Muhammad Musa, Ibrahim Sani and Malam Sani Ahmad Buzu while another victim, Yahuza Tukur was hospitalised because of high blood pressure. All efforts to get reactions of the police proved abortive as the Public Relations Officer of the Kaduna State Police Command, DSP Yakubu Sabo refused to respond to several phone calls. When contacted on his mobile phone, the Council Secretary, Usman Ismail confirmed the incident and appealed to members of the community to remain calm. While urging them to pray to Almighty Allah to forgive those that lost their lives and seek quick recovery of the injured, the secretary assured that the council was doing everything possible to ensure security of lives and property of its residents.